There is significant optimism across the globe over a potential trade deal. Now there is a draft agreement that both sides are going through line-by-line. Consumers are about 70% of the U. S. economy. This is why investors need to pay attention to consumer behavior. January Personal Spending came at 0.1% vs. 0.3% consensus. February Personal Income came at 0.2% vs. 0.3% consensus. Core PCE Price Index came at 0.1% vs. 0.2% consensus. Significant smart money buying is coming into gold after the release of personal spending, personal income and PCE data (please see above). In our analysis this is likely a short term trade because in general, lately, smart money has not been buying gold. The momo crowd is inactive. Yesterday oil first fell on Trump tweet to jawbone oil price lower. The oil first went lower however oil came right back. Those who sold short on Trump tweet had to cover leading to a short squeeze. As of this writing oil has broken above $60 key level. The momo crowd is aggressively buying oil. Smart money bought oil on the dip but is inactive as of this writing. The House Financial Services Committee voted overwhelmingly to advance the bill that allows financial institutions to service legal marijuana business. This was expected and was already discounted in marijuana stock prices. The full House is expected to vote within weeks but there is no certainty that the bill will pass. Gold futures are at $1303, silver futures are at $15.14, and oil futures are $60.60. DJIA futures are up 147 points. The main determinant of the stock market right now is Fed policy. 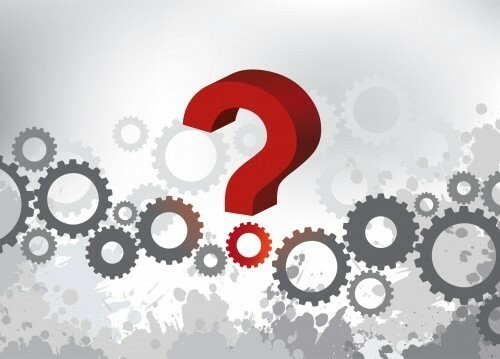 Many Fed officials are speaking and the market will be watching for clues. 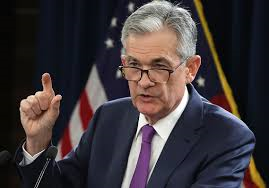 Those speaking include Fed Vice Chairman for Supervision Randal Quarles, Fed Vice Chairman Richard Clarida, Fed Governor Michelle Bowman, Atlanta Fed President Raphael Bostic and St. Louis Fed President James Bullard. 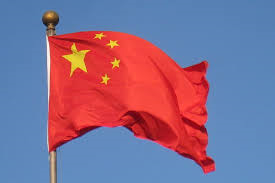 There are reports that China has offered unprecedented concessions in trade talks. If the market decides to take a clue from trade talks today, this is a big positive. However the market seems to be more focused on the Fed. Q4 GDP-Third Estimate came at 2.2% vs. 2.5% consensus. The number is weaker than expected but it is a lagging indicator. Initial Jobless Claims came at 211K vs. 220K consensus. 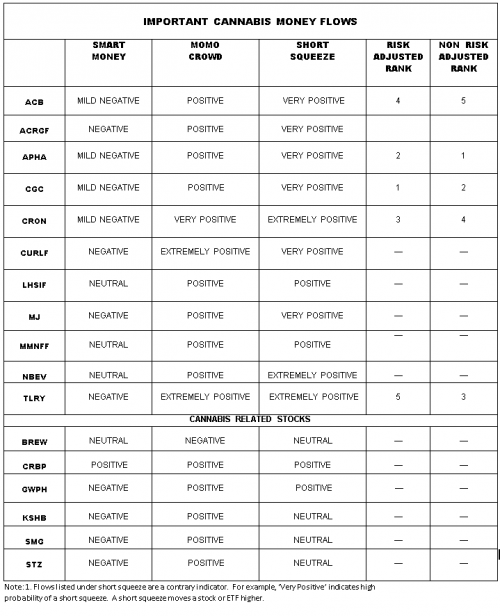 This is a leading indicator and carries a heavy weight in our models. 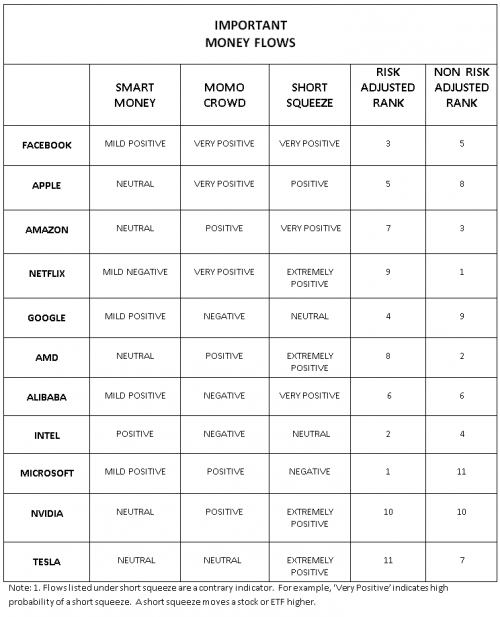 The momo crowd is lightly buying stocks. 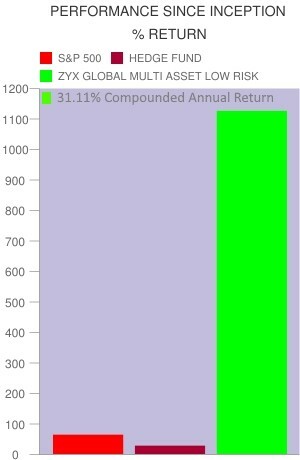 Smart money is inactive. The rise in the dollar is causing selling in gold. Palladium has been crushed. The momo crowd is aggressively selling gold. As of this writing gold has broken below the support level of $1300. The momo crowd is selling marijuana stocks into the weakness. Smart money is inactive. Gold futures are at $1298, silver futures are at $15.12, and oil futures are $58.57. DJIA futures are up 20 points. The trade deficit fell 14.6% to $51.1 billion vs. consensus of $57.5 billion. This is the largest decline since 2018. The primary reason is China buying more soybeans. Investors are hoping for more indications from central banks of more actions to spur economic growth in the face of slowing global growth. Window dressing is happening. In window dressing, money managers buy strong performing stocks before the quarter end. Trading in gold is listless. Both momo crowd and smart money are inactive. API data showed a build of 1.9 million barrels vs. consensus of a draw of 1.1 million barrels. Oil is holding up in the face of various data. The momo crowd is lightly buying marijuana stocks. Smart money is lightly selling marijuana stocks. 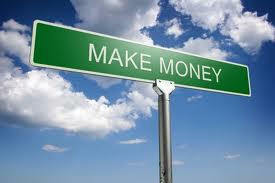 Gold futures are at $1314, silver futures are at $15.37, and oil futures are $59.85. This is in response to emails I am getting from investors who are trying hard not to panic in the face of fearmongering related to inverted yield curve and other data. The foundation of traditional technical analysis is that all known information is reflected in the chart of the stock market. 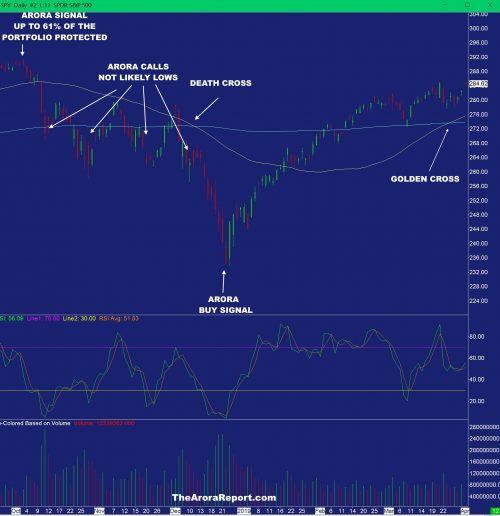 There are strong reasons to disagree with the hypothesis; nonetheless there is significant merit to look at the charts even for those who do not believe in technical analysis. This is especially true at this time where there is a dichotomy between fearmongering on one hand and bullishness on the other hand. Let us explore with the help of a chart. The leading economic indicators from across the globe are cause for a big concern for the stock market. Inverted yield curve merits careful watching. Considering that the bull market is long in the tooth, the concern about the stock market is justified. On the positive side, central banks across the world are pursuing monetary policies that should put a floor under the stock market. A situation is developing that may prompt the Fed to cut interest rates. Under this scenario, as the rumors of Fed rate cut spread, a short squeeze can easily develop. If a short squeeze develops, the stock market can easily penetrate the resistance shown on the chart and go to new highs. 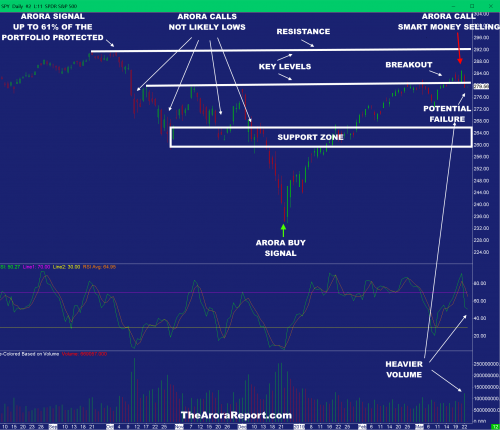 The chart shows the support zone. 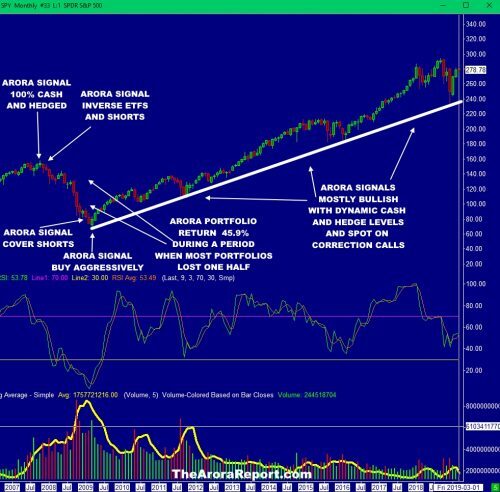 From a longer term perspective, until the support zone shown on the chart is penetrated, there is not a strong bear case for the stock market from a technical perspective. Semiconductor stocks such as Micron (MU), AMD (AMD), Intel (INTC) and Applied Materials (AMAT) may be the leading indicator. Semiconductor stocks are ignoring poor fundamental data. This behavior often leads to a new up leg. A new up leg in semiconductor stocks may be the start of a push for the stock market to new highs. 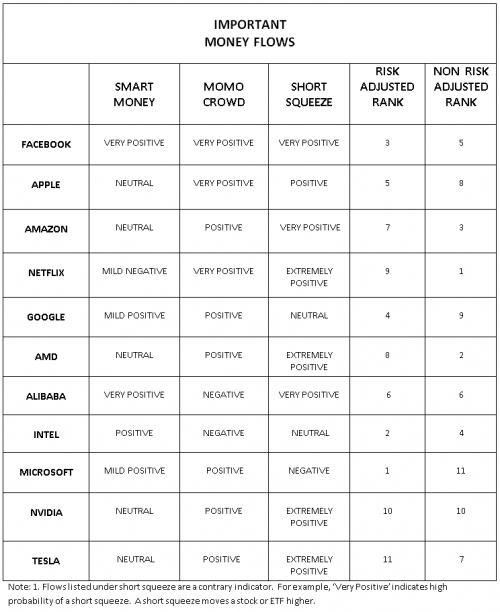 Large-cap tech stocks such as Apple (AAPL), Amazon (AMZN), Facebook (FB) and Microsoft (MSFT) are also acting like they want to go higher and take the stock market to new highs. The momo crowd is aggressively buying stocks in the early trade. Smart money is also lightly buying stocks. 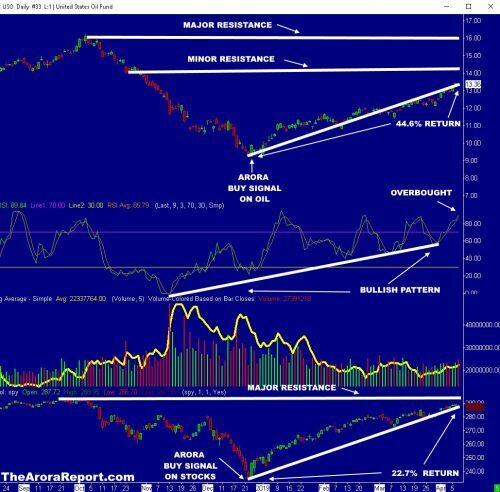 Both momo crowd and smart money are buying oil. New Jersey Senate called off marijuana vote because there was not enough support from law makers for legalization. 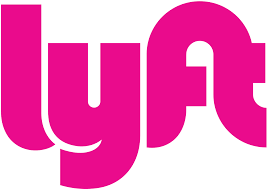 CRON reported earnings and revenues significantly below the whisper numbers and below the consensus numbers. Gold futures are at $1315, silver futures are at $15.46, and oil futures are $59.86. When the stock market has a bad day, many gurus come out making dire predictions such as the stock market going down 40%. On the other hand, when the stock market has a really good day, gurus come out making rosy predictions such as the stock market going up as much as 50%. There are always cross currents in the stock market. Let’s explore how to navigate the stock market with the help of a chart. Irrespective of your political ideology, Mueller report is a win for Trump and a win for investors. 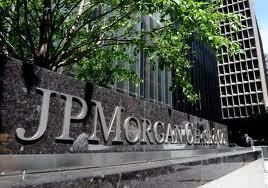 The Arora Report monitors leading economic indicators from 23 countries. We have been warning investors since last year that the global growth is slowing. Now Wall Street is catching on. The yield curve has barely inverted. Contrary to gloom and doom projections based on the yield curve, in our analysis at The Arora Report, there are special factors related to central banks that are at play. For this reason, the historical precedents may not apply. Investors should keep a close watch but not panic. The chart shows Arora call that smart money was selling aggressively into the strength before the market fell. The advantage of monitoring smart money flows is at vivid display here. 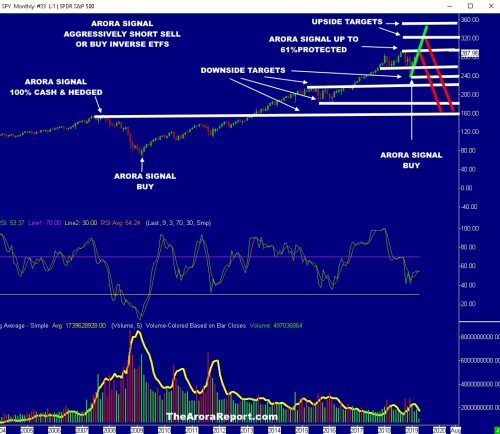 The chart shows Arora buy signal that was given on Christmas Eve which turned out to be the low. 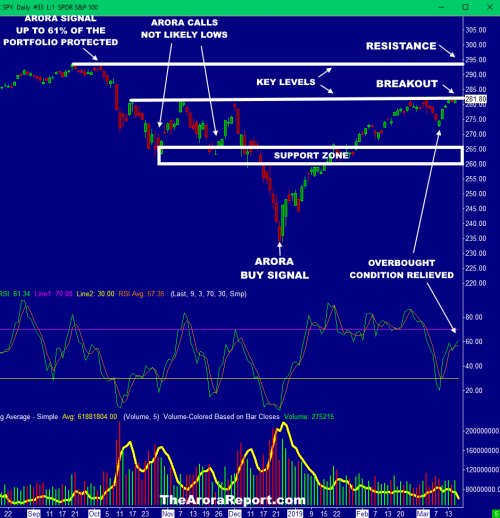 The chart shows a technical breakout. 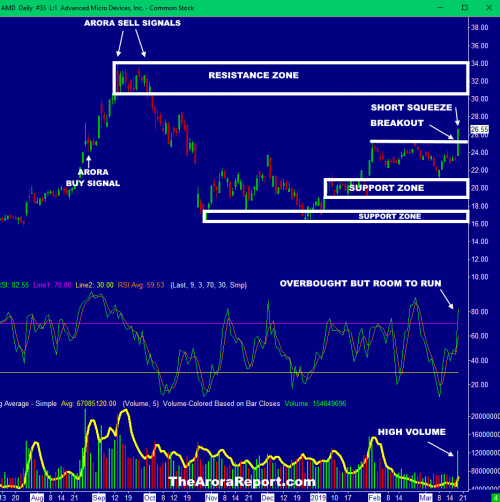 The chart shows a potential failure of the breakout on heavy volume and falling RSI. This is a negative pattern. 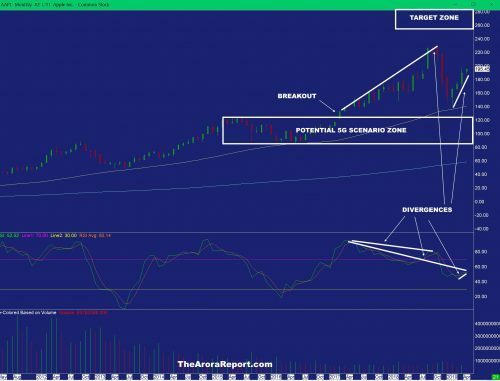 However, the situation needs to be closely monitored as the bear case from a technical perspective will not be fully established unless the market falls through the support zone shown on the chart. This morning smart money is inactive. The momo crowd is acting like a yo-yo. The momo crowd is selling oil. The smart money is inactive. The momo crowd is buying marijuana stocks. Smart money is selling marijuana stocks. Our very, very short-term early stock market indicator is negative but due to Trump win, it can easily turn positive. Gold futures are at $1319, silver futures are at $15.55, and oil futures are $58.79.